God loves you, me too. Happy Birthday. every new day of your life. keep loving and doing your best. 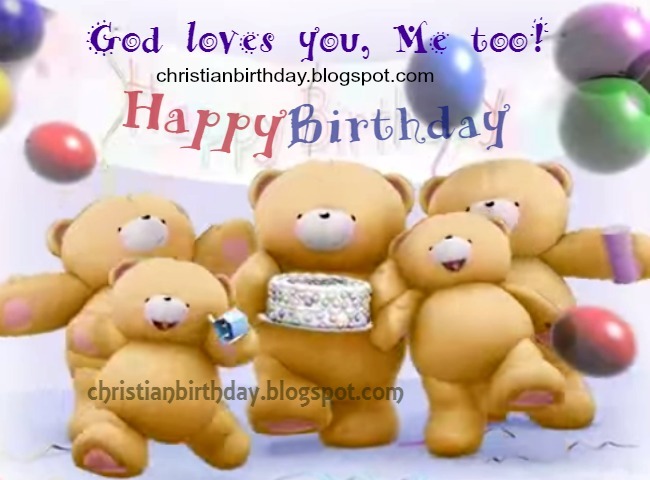 Free birthday card, free image to share on birthday for friend, relative, son, daughter, sister, boy, girl.